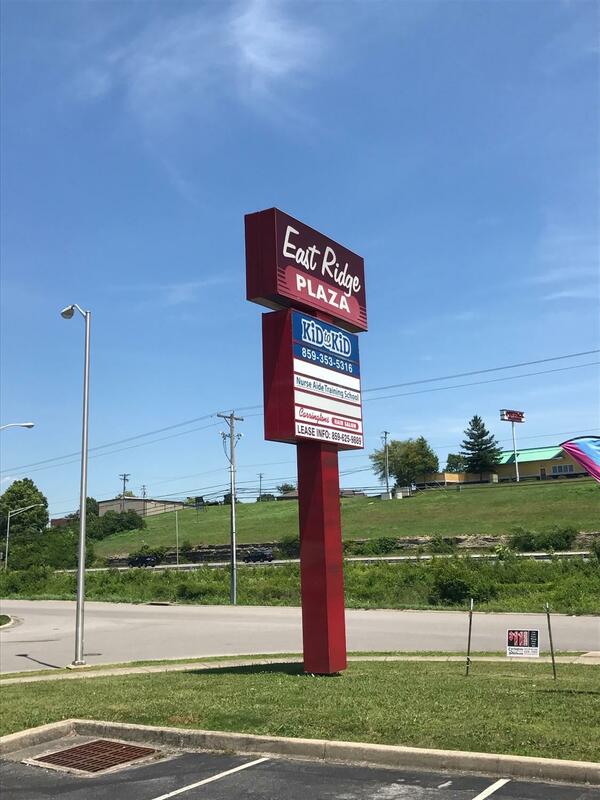 Clean, move-in ready retail or office space in East Ridge Plaza. This unit features a large open space, a reception area, three individual offices, and one bathroom. East Ridge Plaza is a Class A building that is well maintained and located on the high-traffic count Eastern Bypass. The unit has brand new carpet and paint in a neutral color. This will be great exposure for your business! Located close to Gibson Bay, Dairy Queen, and the adjacent East Ridge Plaza II. Tenant pays all utilities and a common area maintenance (CAM) fee of $1/ft or about $300/mo for this unit. This covers common area maintenance, insurance on the building, maintenance on the building, and snow clearing.